Fans of Sony’s leading games console, the PlayStation 4, have long awaited a successor to the popular platform that’s delivered everything from Uncharted 4 and The Last of Us to last year’s smash hits, Spider-Man and God of War. They will soon be getting their wish as Sony made a surprise info dump revealing their “next-generation plans” for the gaming world, which fans are unofficially referring to as the PS5. In an exclusive interview with PlayStation’s lead architect Mark Cerny, Wired got the first word of Sony’s plans to take their gaming endeavors to the next generation. The bad news is that it won’t be out this year, but the good news is that when it does come out, it’ll offer backwards compatibility support PS4 titles, comes equipped with a disc drive, and it’s been in development for over four years, which is longer than the age of the PS4 Pro. 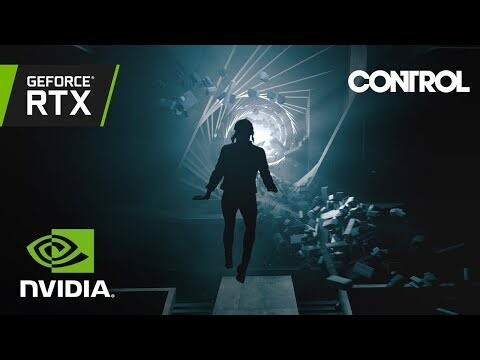 A number of leading studios are said to be already working on next-gen games for the platform, with cutting edge ray-tracing technology provided by AMD—some of which we’ve already seen in the likes of Metro Exodus, Shadow of the Tomb Raider, and Battlefield V.
Future games will look better than ever, and this is no truer than in tech demos of Atomic Heart and Control, which boast ray-tracing tech on PC hardware capable of supporting it. In addition to the next-gen tech, the PS5 will also be equipped with a Solid State Drive that Cerny says dramatically improves the loading and rendering times for existing games, citing its improvements to 2018’s Spider-Man, which saw its fast-travel loading screens dropping from 15 seconds down to a near-instantaneous half a second. Furthermore, the PS5 is set to offer support for up to 8K resolution, well beyond what most TVs can support today, indicating that the graphics card it carries may be capable of running games smoothly at at full ultra-high definition (FUHD), or at the very least play games at the highest settings on 4K without drops in framerate. Although little has been said of Sony’s future plans with VR, Cerny said that it will be compatible with the current PSVR units. Cerny boasts that the upcoming console will also include 3D audio, which has been standard for many first-person shooters on the PC, but not consoles like the PS3 and PS4, which tend to offer less-than-stellar directional audio. Cerny suggested that upcoming games like Hideo Kojima’s highly anticipated game, Death Stranding, which has been slated for release on the PS4, will be releasing first on the PS4 and then on the PS5. Wired implied that fans of the PlayStation will likely not hear much of the new technology at the upcoming E3 2019 event, but we’ll likely see much more of it later in the year at Sony’s own gaming event. Previous Post How to Pass Microsoft MCSA Windows Server 2012 70-411 Exam as a Pro with ExamSnap Prep Material? You write articles over a gaming console? That’s so cringe man. At least he writes proper English when he does it.